Looking For The Best No Bark Collars For Small Dogs? Here’s a look at our favorites, including our top pick – Bark Collar with Smart Detection Module. Let’s be honest with each other. I love my dog (more than I love some family members), but I’m not a fan of incessant barking. I understand that barking is natural for dogs, so I won’t be naïve and say that I want my dog to stop barking completely. In fact, there are times when his chipper little bark is exactly what I need to put a smile on my face. But barking has a time and a place. I don’t want to be awoken at 3am by my pooch howling at the moon, and I know for a fact that my neighbors don’t either (at least, that’s what the police officer who knocked on my door told me). I also don’t need a five-alarm warning every time someone comes within fifty feet of the house. Forgive me if I’m wrong, but something tells me that you feel the same way. Fortunately, it’s more than possible to teach your dog when it’s not appropriate to bark with a safe and effective no-bark collar. The most important thing to remember when you’re shopping for a no-bark collar is that the solution needs to be safe, humane, and ethical. 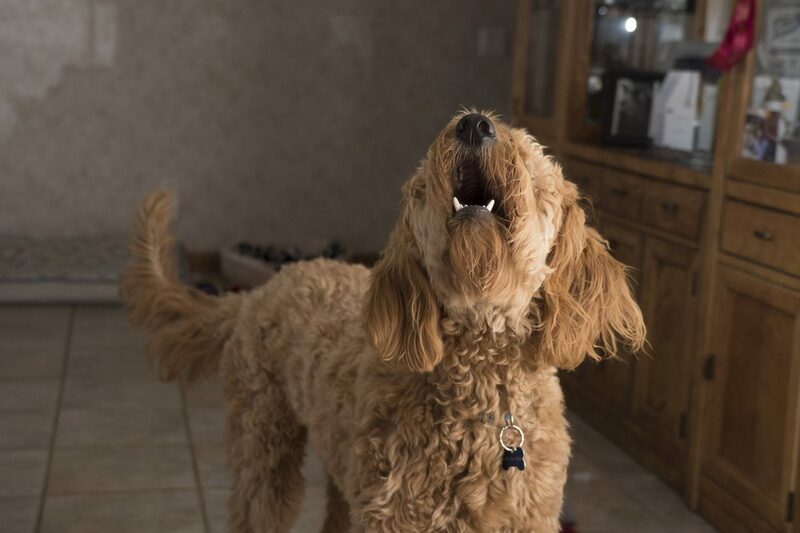 Static shock, vibration, and sound-based therapy are all used by professional trainers, but these devices aren’t meant to punish your dog—they’re meant to provide gentle reminders when it’s not appropriate to bark. It should be a training tool, not a punishment. Sound therapy – collars that employ sound therapy will usually emit a beep to get your dog’s attention. Most collars will combine sound therapy with either static shock or vibration. Vibration therapy – vibrating collars are a good alternative to the traditional static shock collars. Rather than emitting an electric charge, vibration collars will get your dog’s attention with progressively increasing vibrations. Static shock therapy – these types of collars provide a gentle, safe charge to get your dog’s attention. Static shock collars are admittedly controversial, but they’re usually more effective than vibration therapy. False triggering – when you’re training your dog, consistency is king. If you buy a cheap no-bark collar that goes off any time someone in the room sneezes, your dog will be confused and won’t learn it’s meant to stop barking. If you have multiple dogs, you can also have situations where one dog’s barking sets off the other dog’s. To avoid this, look for a collar that has sound filtration to eliminate false triggering. This no-bark collar by Nicexx was developed with the help of professional dog trainers, with the goal of building a no-bark collar that’s effective and humane. 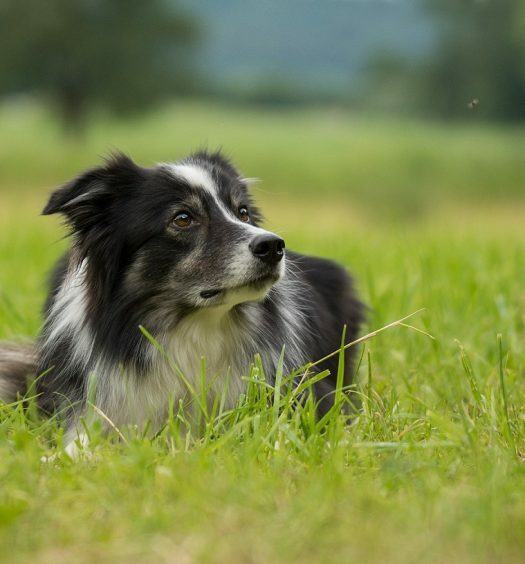 Rather than using harmful shocks, it uses a combination of noise and vibration to train your dog not to bark. For the first two barks, the collar will emit a warning tone to get your dog’s attention. On the third bark, the collar will begin to vibrate along with the warning tone. If your dog continues to bark, the vibration will progressively intensify, ultimately capping out on the seventh bark. If your dog continues to bark after the seventh level, the collar will rest for one minute before resetting. 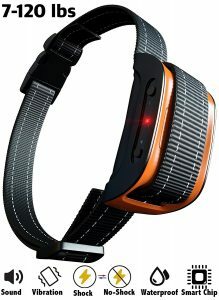 One of the big things that I like about this collar is the attention the company put into eliminating false triggering. When you’re training your dog not to bark, nothing confuses them more than being punished for a sound they didn’t make, so this feature is extremely beneficial. The collar has an adjustable nylon neck, and it’s meant for dogs with a neck circumference of 8.34 – 24.5 inches. It’s also waterproof, so you don’t have to worry about short-circuiting if your dog goes out in the rain or splashes around in puddles. Best of all, the company guarantees 100% satisfaction or your money back, so it’s a safe choice. 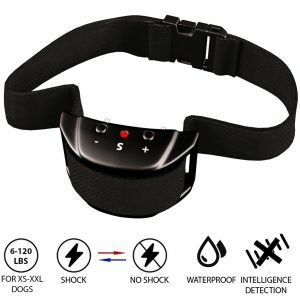 If you prefer a collar that uses shock therapy instead of vibration, this one is highly rated and widely recommended. It has an upgraded sensitivity chip that does a better job of filtering out false triggers and consistently registering your dog’s barking. Both of those are important, as consistency is the key to successful training. The collar’s automatic mode has five levels, with each level providing a bigger shock. 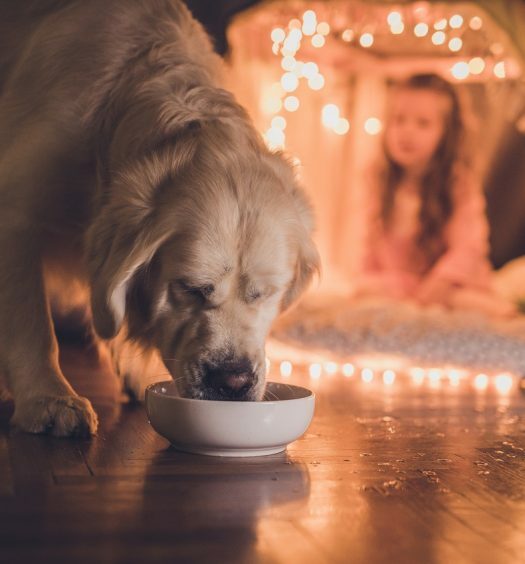 The collar resets after 30 seconds of no barking, and if your dog continues to bark after the fifth level, the collar will shut off for one minute before resetting. In manual mode, you can toggle up or down between seven sensitivity levels. It’s waterproof, so a jog through the rain or puddles is perfectly safe. Thanks to the adjustable neck, it can fit any dog from 6 – 120 pounds. This product also comes with a satisfaction guarantee. The company will offer a full refund to any unsatisfied customer within 30 days of purchase. If you can’t decide whether you want a collar that emits warning tones, vibration, or static shocks, you’re in luck—this collar has all three. 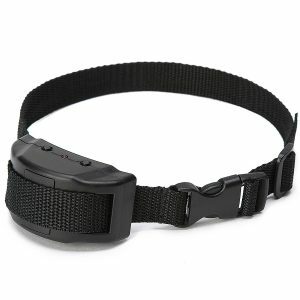 The collar has three training modes (beep, vibrate, and shock), each with seven sensitivity levels. It uses an intelligent sound recognition system that detects barking vibration rather than sound, so it does a great job of filtering out false triggers. The collar is rainproof, and it uses a rechargeable battery that can be used continuously for up to 14 days. Like all of the other collars we’ve discussed, this one comes with a 30-day money-back guarantee if you aren’t satisfied. This no-bark collar definitely represents the best value on the list. It offers a humane solution to incessant barking with a progressive series of beeps and painless static stimulation. You can choose between seven sensitivity levels, and the collar resets when your dog stops barking for at least 30 seconds. With the adjustable nylon collar, it can fit dogs from 12 – 120 pounds and anything from 6 – 25-inch necks. If you’re not satisfied with your purchase, you can return the collar for a full refund within 30 days. Here’s another great vibration-based no-bark collar. This one uses a progressive series of beeps and vibrations to stop your dog from barking, with seven adjustable sensitivity levels. 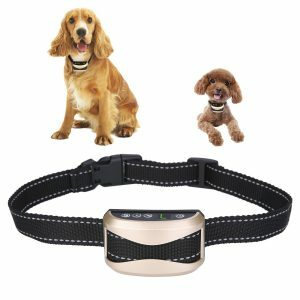 It’s ideal for small and medium-sized dogs with a smaller adjustable neck and lower sensitivity levels. Like the other no-bark collars that we’ve talked about, this one comes with a 30-day money back guarantee, too. In my opinion, the deciding factor for you should be whether you want to employ shock-based or vibration-based bark training. 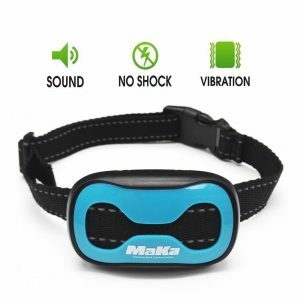 Outside of that differentiator, all of the no-bark collars that we’ve discussed are safe, waterproof, and emit warning tones to accompany the shock or vibration therapy.